When it comes to planning your dream vacation, it’s obvious that you want to make the most of it. This is not an easy task for many, as everyone has their own style when it comes to traveling. Whether you’re traveling with friends and family or if you choose to go solo, there’s never a right or wrong way to do things. Mind you, there are definitely some big differences if you choose to participate in either a private or a group tour. To help you choose, let’s look at the pros and cons of both private and group tours. Private tours allow you to choose exactly what you want to do and when. You don’t have to depend on going with a group either, since there is room for flexibility and changes in your schedule. The freedom on how to spend your time is the main reason people choose private tours over group tours. After all, nobody knows you better than yourself and private tours allow you to pick the most ideal trip for you! Everyone is different when it comes to the time they like to spend at certain places. Some like to spend hours sampling every dish in their local meals, whereas others like to make the most of their time seeing as much as they can. Thus, unlike group tours, private tours give you complete control over your time and schedule. While group tours may end up on buses with other travelers, private tours allow you to travel by a private car or minivan no matter if you’re coming alone or with your family and friends. Private tours are also useful for those who need special care, including older relatives, small children, or disabled travelers. Best of all, the Local Experts run the tour personally for you! One difference between the two is that private tours may seem costlier than group tours. But in fact, you will get what you pay for since you will not be wasting any money on things you don’t want to see or do. By paying a little extra, you will get all the exclusivity and flexibility that comes along with the premium service offered by the Local Expert. Moving on to group tours, one advantage they have over private tours is that they are somewhat cheaper. Discounts or special entries are often available to tour groups. This is great for those who are looking for a bang for their buck especially for backpackers or college students. For many, it’s not easy for them to meet new people. Traveling in group tours help ease the pressure of making friends from all over the globe to create memories. Now, I don’t want to sound cheesy here, but looking back at old travel photos from a trip, and sharing a bottle of Chang Classic with a friend from your group tour can make you reminisce of the great time you had. Having everything planned for you can be a disadvantage in its own way. You aren’t granted much control over what you want to see and when. Normally, group tours rely on fixed meeting places and time with little to no flexibility. Just picture a scene when you really want to see all the ancient ruins of Ayutthaya already, when you’re actually still waiting for others to arrive. The itineraries are also fixed, so it’s most likely that changes will not be made to the activities and locations in the tour. Unlike private tours, you will not be given a personal guide in group tours, as the Local Expert will have to take care of everyone. Also, if you’re not keen on meeting strangers, group tours are definitely out of the question. You will also have to share transportation with fellow travelers as well. Just imagine when you have to wait for other travelers to board the bus when you actually really want to get going already. So if you’re looking for a private day tour with a comfortable ride, don’t expect them from group tours. Considering the pros and cons between private tours and group tours, we recommend you to choose the former. By choosing to book our private tours, you will have more freedom to explore places at your own leisurely pace with the flexibility to change things you want to do and see along the way. 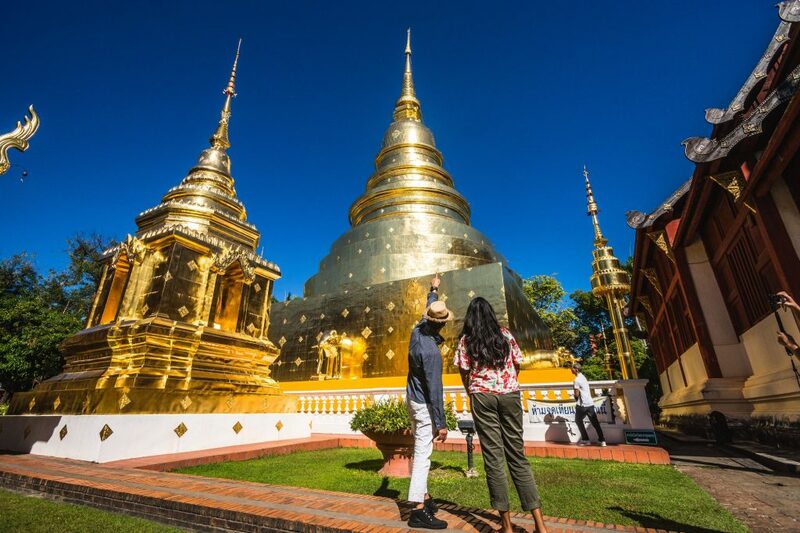 From floating markets to the Grand Palace, our team of Local Experts will make your private day tour an experience you will not forget.